Has another week passed us by so quickly? 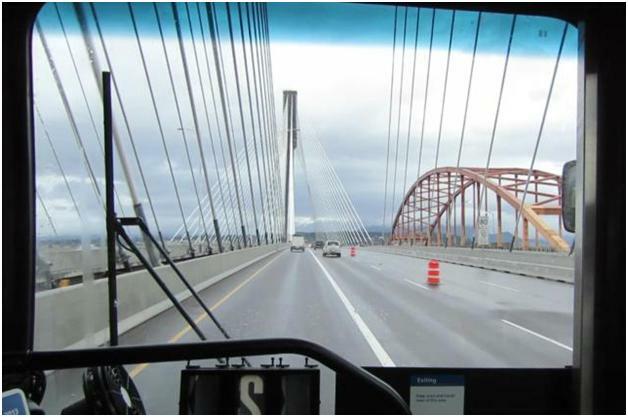 Was that the first bus across the Port Mann Bridge in twenty five years? Did you hear about Bombardier? Think Hurricane Sandy is old news? Gather round, grab your coffee and settle in as we review the week that was in B.C. Transportation news. The government of B.C. and Translink have signed a contract with industry specialist Bombardier to craft twenty eight cars for the Evergreen Line as well as the Expo and Millenium Lines. Our friends at Translink covered the first run of the #555 across the new Port Mann Bridge this week in the Buzzer blog . General consensus was that the new transit addition, combined with the new Port Mann Bridge is a great time saver for commuters. We also learned that drivers that set up accounts and registered for decals by the deadline will receive the $30 account credit, equivalent to 20 free car crossings, and all applicable discounts will be automatically applied to their trips. That means with tolls starting today, some won’t have to pay right away. FYI – Vehicles will be identified by license plate until decals are installed. In addition to the $30 account credit, we are really thrilled that a majority of drivers registered for the 25 per cent High Occupancy Vehicle (HOV) discount. To receive the 25 per cent discount, drivers must have their vehicle registered for the HOV discount and travel in the HOV lane with at least two occupants. HOV discounts are in effect Monday to Friday from 6:30 a.m. to 8:30 a.m. and 4 p.m. to 6 p.m. According to ICBC, tens of thousands of vehicles on the U.S. east coast have been submerged in salt water and contaminated by bacteria and various toxins as a result of Hurricane Sandy. These vehicles will soon begin appearing in jurisdictions all over North America, including B.C. Flood damaged vehicles can be extremely unsafe and pose serious risks on the road. Flood damage can seriously compromise a vehicle’s electronic and computer systems, which control everything from the steering, brakes, engine, airbags and other major safety systems. Did you know that during the months of November and December in B.C., on average, there is an 80 per cent increase in crashes where a pedestrian is injured when compared to July and August? ICBC also recently issued a news release to remind everyone that recent pedestrian incidents across the province serve as a strong reminder that as the weather conditions get darker and deteriorate as winter quickly approaches, we all need to be extra careful on our roads to help keep pedestrians safe. Please take a minute to review their safety suggestions and use them the next time you get behind the wheel. 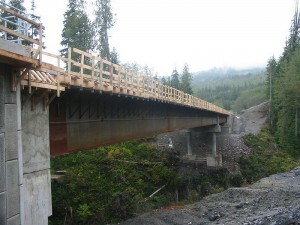 On Highway #44, approximately 56 kilometres west of Sooke and 15 kilometres east of Port Renfrew is a pretty vital crossway for the area, and it’s opening up today. That wraps up this week for BC Transportation news. If there’s more you want to know about the projects and programs that impact you, please let us know through our many social platforms.